During the early 1970s STAY HIGH 149's name adorned hundreds of New York City's subway cars, particularly on the IRT division. He is one of the most famous, influential and admired writers in the history of New York City aerosol art. Most notably admired for his unique tag. He drew a smoking joint as the cross bar for his "H". Each tag was accompanied by a stick figure from the television series The Saint. 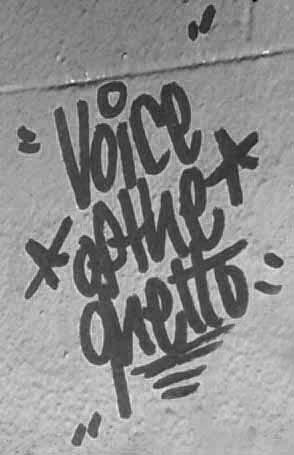 He also frequently wrote the phrase "Voice of the Ghetto". His logo/name came to define "street cool" for many subsequent generations of writers. He is one of the most frequently mentioned influences for New York City writers. 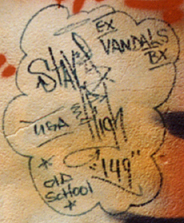 One of the most famous pieces in aerosol art to date is the STAY HIGH 149 top-to-bottom on the IRT subway; documented in Norman Mailer's 1974 book The faith of Graffiti. The painting done in 1973, was an early top-to-bottom whole car. As with most pieces of the time period, it was basically an extremely large version of his tag. His subway paintings also appeared in 1974 in a Richard Goldstein article for New York Magazine. 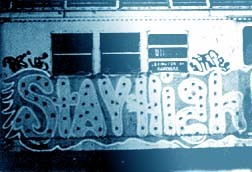 STAY HIGH also participated in early presentations of graffiti art on canvas at Hugo Martinez's United graffiti Artists. By 1974 STAY HIGH had pretty much retired from writing. After his retirement he was seldom seen and eventually went into total obscurity. His absence would span almost twenty years. In June of 2000 he made his first public appearance in the graffiti community at The State of the Art gallery in Brooklyn. Needless to say the many writers who met him for the first time were nothing short of awestruck. He remains an unblemished icon within the aeorsol art culture. Copyright © 2000, 2003 @149st. All rights reserved.